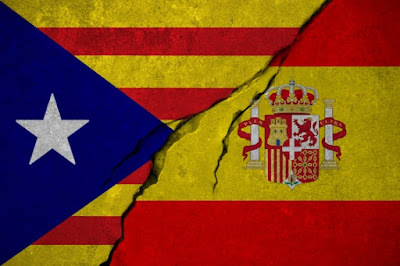 The voters of the province of Cataluña voted for independence from Spain at the end of 2017. Shoreline English Professor Jeannette Idiart was there with a group of students on a quarter-long study abroad experience. Professor Idiart will explain the historical and cultural context of the vote for Catalan independence; students will describe their first-hand experience watching history unfold. This event is open to the public and FREE. However, in order to help better prepare, we ask you to register that you plan to attend. Click here, then click again on Sign Up. To receive email confirmation, you must provide your email address. Your email address will not be shared with others. Small fee for parking on campus before 4:00pm.